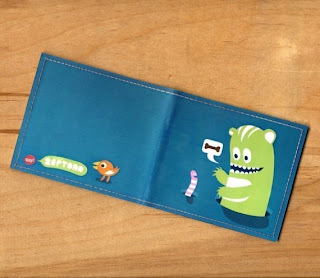 Monster wallets from Tinymeat! 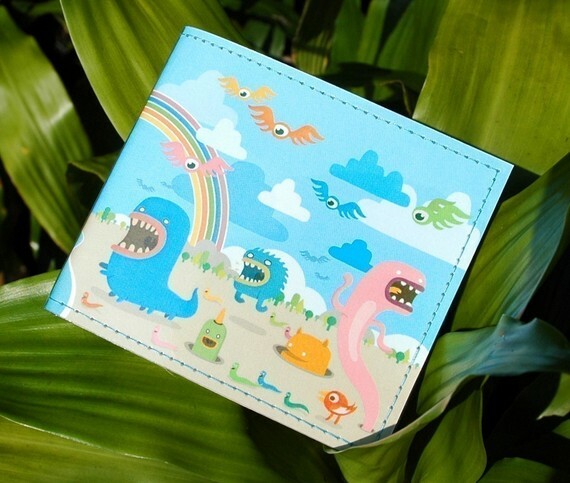 Now I know your first thought was "Why do my monsters need wallets? They don't even have jobs!" 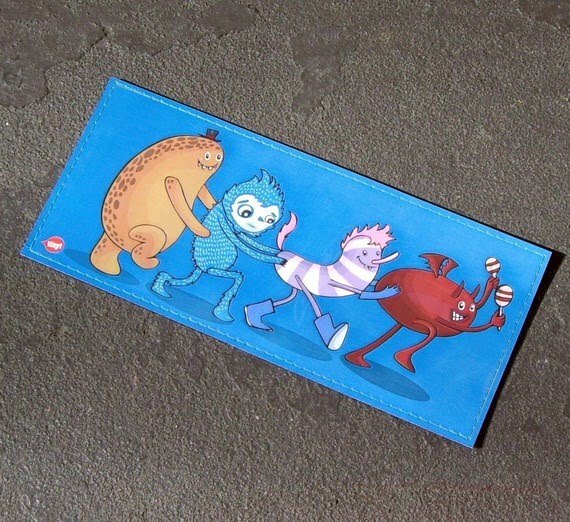 but bear with me here. 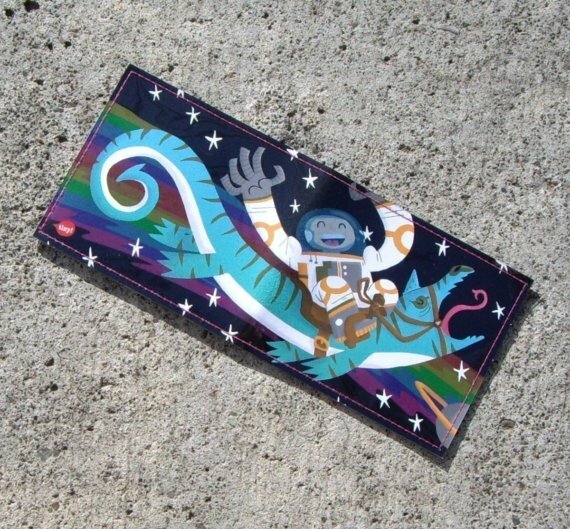 I've done some investigating, and I think the wallets are for us, and if that's true, then we are in luck because they are pretty darn cool! These are from the Artist Series, and I would have had a hard time choosing between them, if it weren't for the dinosaur one. 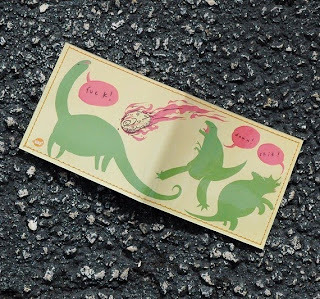 You may have a more mature sense of humor, but nothing makes me laugh more than when dinosaurs swear, so that's clearly the one for me!